The Chinese New Year, or Spring Festival, has more than 4,000 years of history and is the longest holiday of the year. In the 21st century, the national holiday begins on the first of the Lunar Calendar and lasts until the 15th of the first month. In 2018, Chinese New Year begins on February 5th and ends February 19th. In China, all stores are closed during the first five days of the Spring Festival, with some not opening until the very end. People must stock up on New Year supplies (年货—nian huo) beforehand and many begin on the Laba Festival. Kitchens will also show the first signs of Spring Festival dishes with the preparation of cured meat, salted fish and other preserved food. 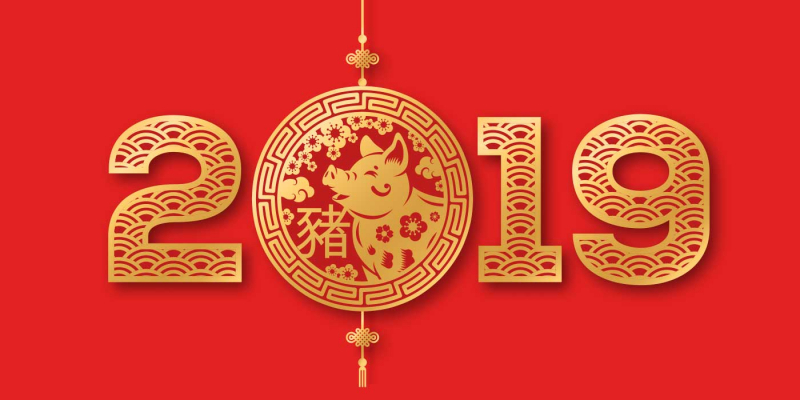 Unlike the Western New Year which always starts on Jan. 1, the Chinese New Year is dictated by the lunar (moon) cycle, usually falling between Jan. 20 and Feb. 21. It’s a major holiday celebrated in China, as well as many neighboring countries and around the world. This year, the Chinese New Year begins Feb. 5, which initiates the Year of the Pig. So, if you were born in 1935, 1947, 1959, 1971, 1983, 1995, 2007 or 2019, you’re in luck this year. “Pigs may find luck in some areas of their life, but others will require hard work to avoid potential pitfalls. Pigs will most likely experience many emotional ups and downs, making them feel frustrated and sad at times,” ChineseNewYear.net adds about 2019. Do you know your Chinese animal sign? Determine your animal sign by finding your year of birth below. Come celebrate the Chinese New Year with 720 Fusion Fresh and discover all the flavors of Asian Fusion Cuisine in Steamboat Springs, Colorado. We look forward to seeing you soon!